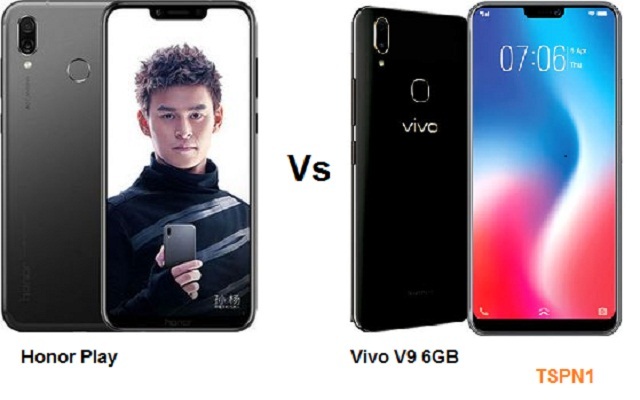 The Vivo V9 6GB is equipped with Qualcomm Snapdragon 660 MSM8976 Plus processor. The Vivo V9 6GB comes with 6 GB RAM and 64 GB internal memory which can be expanded via MicroSD. The Smartphone runs Funtouch 4.0 OS (Android 8.1 Oreo). The Vivo V9 boasts of the 13-megapixels rear camera and 12-megapixel front camera for selfies and video calling. The Honor Play comes with 4/6 GB RAM and 64 GB internal memory which can be expanded via MicroSD. The Huawei Honor Play runs Android 8.1 Oreo. The Honor Play boasts of the 16-megapixels rear camera and 16-megapixel front camera for selfies and video calling.